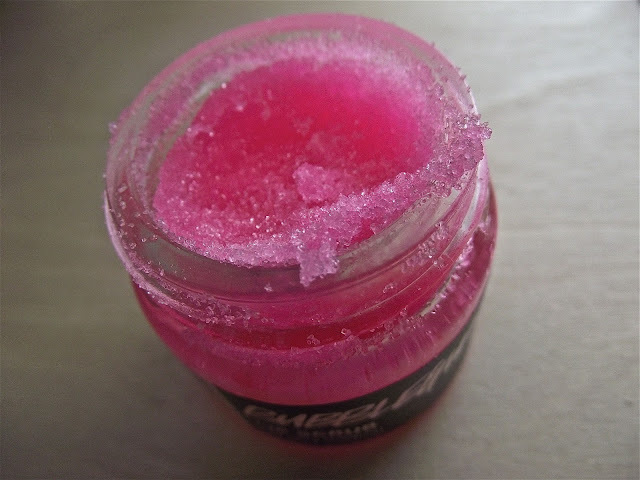 Jesska Denise: Lush - Bubblegum Lip Scrub. Lush - Bubblegum Lip Scrub. I was excited to try this after reading on countless blogs about how great it is. exfoliator that really helped remove the excess dry skin. The smell is very sweet and as it says on the lid 'Bubblegum'. The scrub reminds me of sugar particles which makes it harder for me to not want to eat off my lips. I've been using this for nearly two weeks now and have to say I'm incredibly impressed with the results. My lips feel smoother and look a whole lot better than they did two weeks ago. Due to my obsession with lip butters I'm conscious of whether the rough parts of my lips are being highlighted as I find the lip butters make dry areas more visible. I use a generous amount and rub it into my lips until I'm satisfied that my lips have been properly exfoliated. My lips tingle for a slight bit afterwards which I've taken as a sign that the scrub is working its magic. The smell and taste are divine. Seriously I'm quite tempted to just eat it off my lips.....I resist the temptation (barely). For the price you pay I think the 25g pot is more than enough. 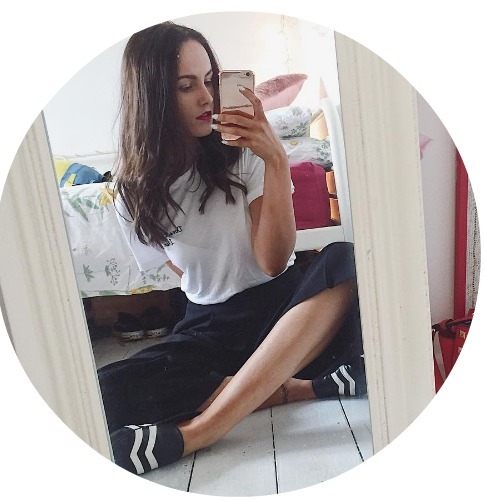 I can see this lasting me for as long as I need it and I'm happy I gave into blogger hype and purchased this. I have this. LOOOOVE it! I use this all the time. It's my favorite smelling lip scrub they do. Such a reasonable price and it lasts forever! 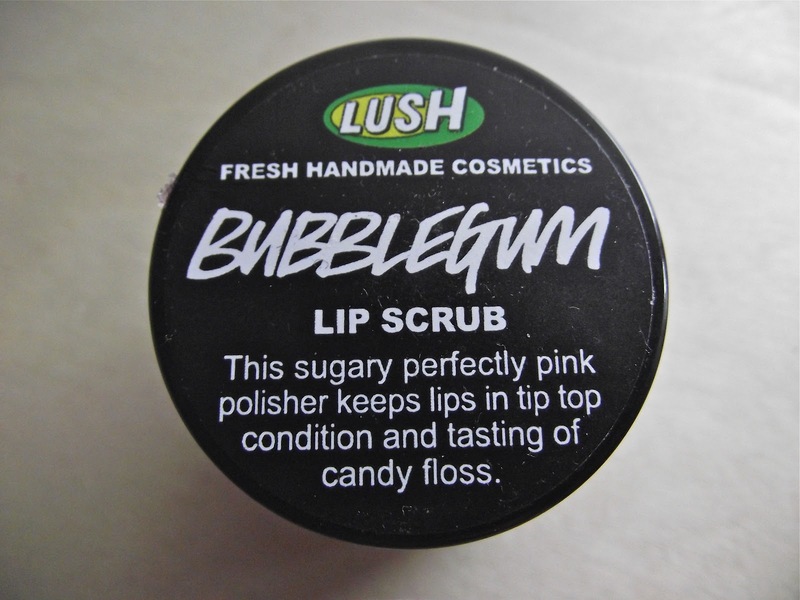 i love lush lip scrubs!! i have the mint one and i just want to try them all! I bought this product yesterday and love it! They smell and taste (oops) great!